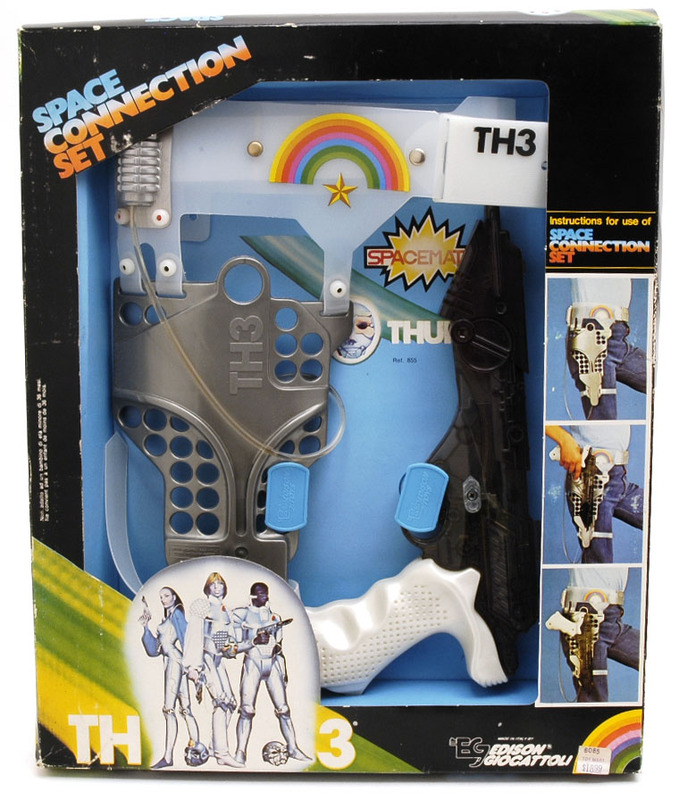 My favorite part of the TH3 line of toys is the guns. 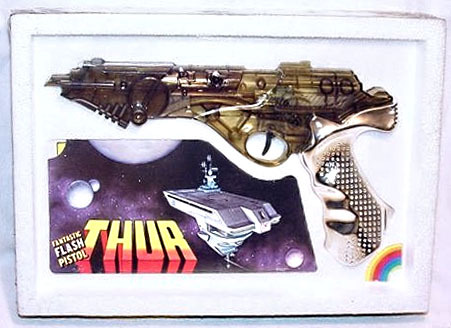 Edison Giocattoli is best known for their toy guns, generally, but their ray gun designs are, hands down, some of the coolest ones around. 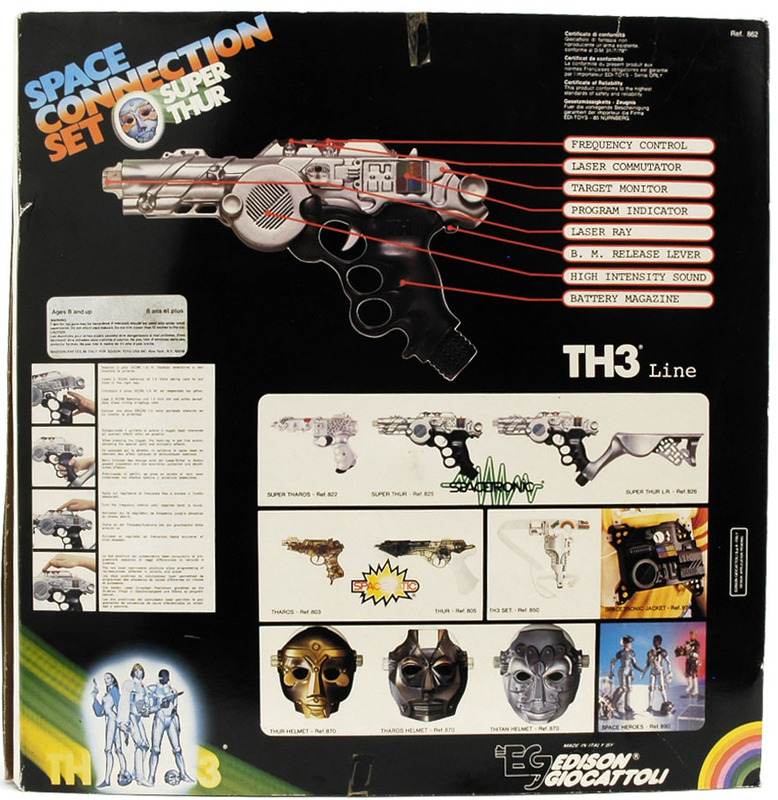 The first gun is the Thur set. This one is my favorite. 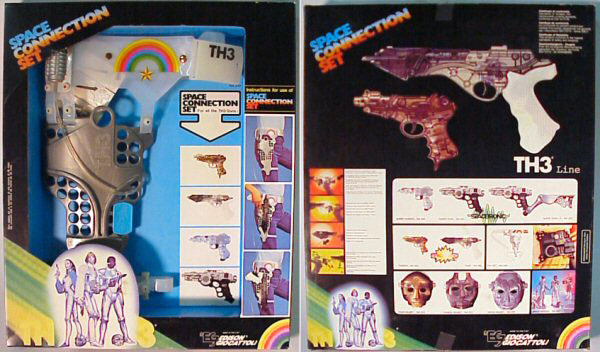 It is a friction sparkler gun, no electronics. Take a look at the holster that goes along with it. Han Solo would be envious. 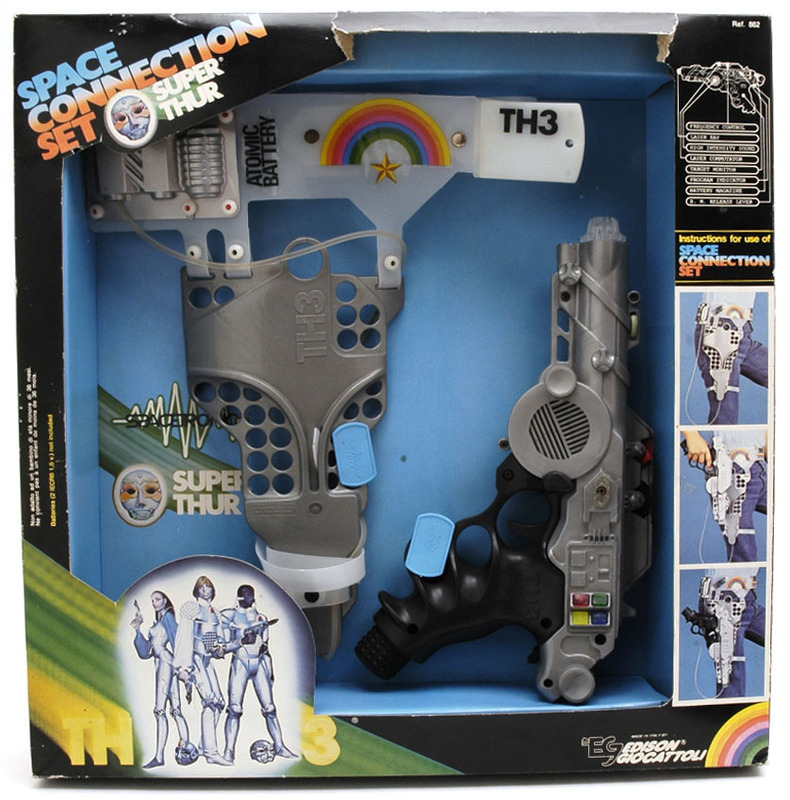 The second gun is the Super Thur set. This one is an electronic one, with lights and sounds. 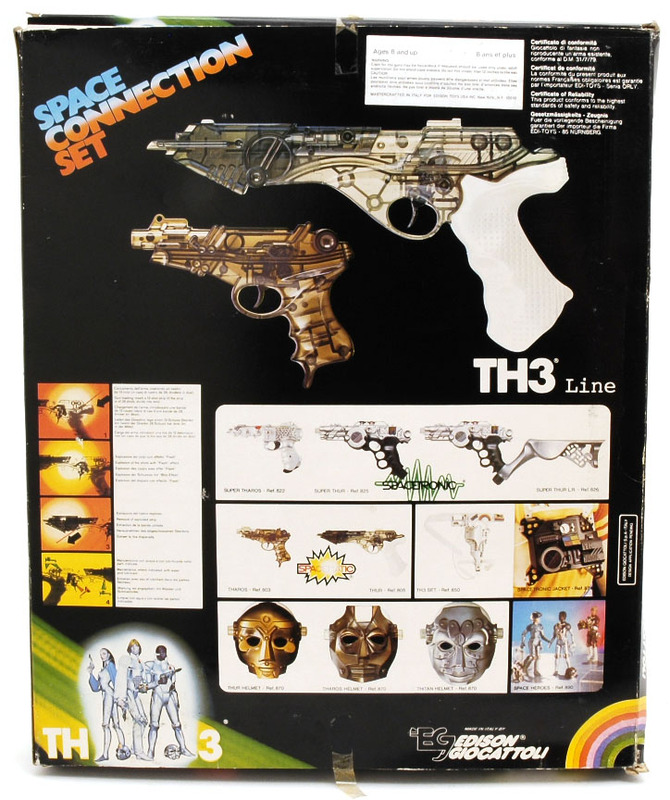 Third is the “Connection Set” light, no gun. If you happened to pick up a gun sans holster though, you’re set. 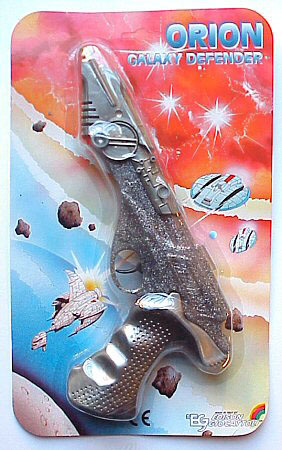 That holster might come in handy for this Thur gun that we have fourth on our list. 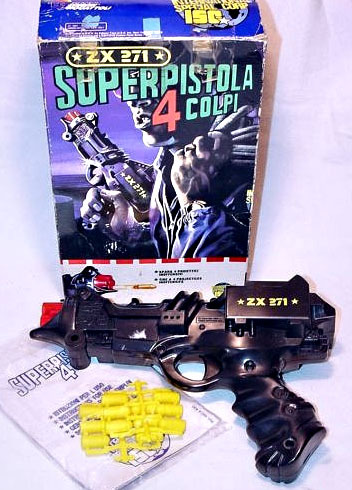 After that is a stylistic departure with the ZX 271 pistol. This one is neither friction nor electronic! It fires these very cool small yellow bullets. Last on the list is the Orion Defender, a modern Edison Giocattoli gun modeled after the TH3 classics. Click the pictures for bigger views. Just wanted to clarify that the Thur and all the Spacematic line are cap guns and not friction based. They take a strip of caps. If you look closely at the second picture you can see the wave-shaped path they take. Great pics. Where can I buy one of these Thur models? I know they are vintage and hard to come by. Sadly, ebay is about the only place I know you can find them.